When it comes to teriyaki sauce, I prefer making my own. I have all the ingredients in my pantry to make it which is so easy anyway. And to top it off, there's that luxury to whip it according to my taste. Today, I prepared salmon teriyaki which I grilled in my stove top. The marinade is the same one I used for my Chicken Teriyaki from an earlier post. But since the salmon is grilled, I simmered the marinade until it reduced to half and then I used it as glaze. I don't like my salmon swimming in the sauce- just super moist and then a couple of drops on my white rice. So delicious! I just realized how much I missed grilled salmon! Whisk together soy sauce, mirin, sake, shallot, ginger, garlic, chili flakes, black pepper and brown sugar in a bowl. 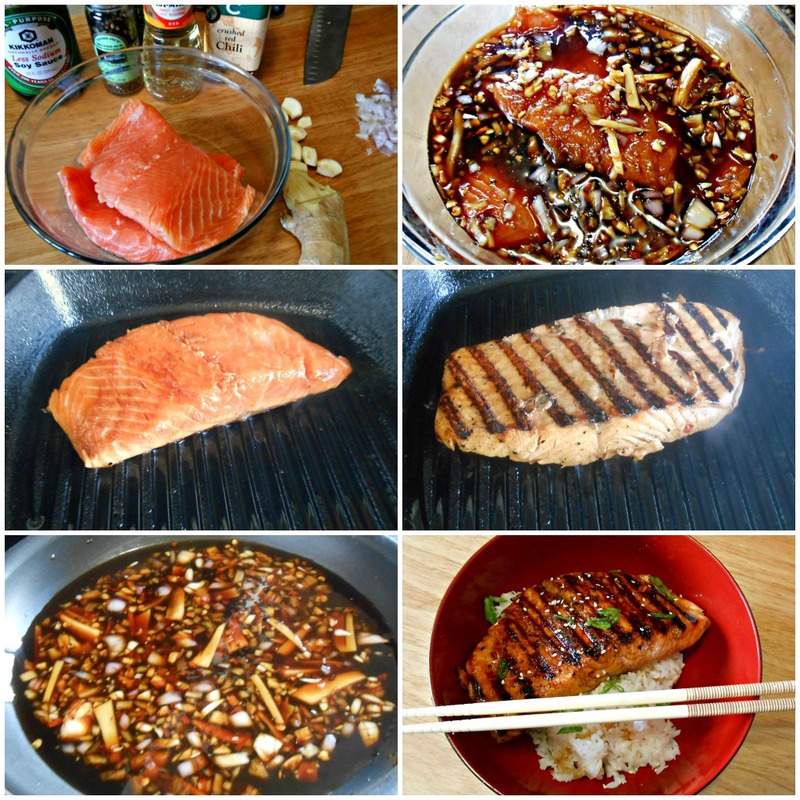 You now have your teriyaki sauce and you can either pour it over the grilled salmon or just use some for glaze like I do and just drizzle some to your steamed rice. You can store the left over sauce in the fridge in a lidded container.